Lift systems have become essential elements for providing access to multi-floor buildings. 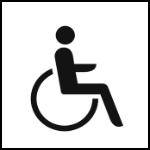 In the States of Europe there are a number of laws and standards that cover various different sectors of accessibility. But since 2004 there is one European standard only, EN 81-70, about it. In a new residential building the standard accessible cabin shall have a minimum width of 100 cm and a depth of 130, with a resulting capacity of 450 kg, 6 passengers (type 1). The automatic sliding doors shall have width of at least 80 cm. In a new non residential building the cabin shall have a minimum width of 110 cm and a depth of 140 cm, 8 passengers (type 2), with a car door width of minimum 90 cm. 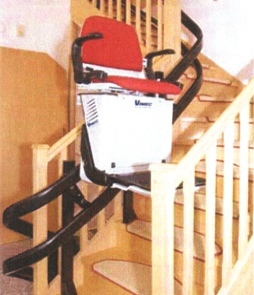 Furthermore, EN 81-70 defines a series of important additional features, this includes ensuring that lifts stop precisely and level with the floor in order to avoid "steps" that would impede wheelchairs (and be dangerous for elderly! ), a lighting curtain at the entrance to prevent the automatic doors from closing on persons or wheelchairs, a synthetic voice device for visually impaired persons, and various other devices that help to promote accessibility. In fact, this term should not be taken to mean simply making it possible for people with reduced mobility to enter the cabin, but also improving access for people with other disabilities (visual, auditory, vocal and even allergic). Koppel A.W. has a considerably experience in this field and can offer a full range of advice, in particular on obtaining authorisation from the local authorities to install adequately-sized lift systems in existing buildings, in order to improve there accessibility. It is worth to recall also that since 2013 there is another norm, EN 81-82, that provides the designers with guidelines on how best to adapt an existing lift in order to improve its accessibility, when requested by the owner.